Google searches for "human body decomposition timeline", carried out almost five months before the discovery of the remains of Bobby Ryan, were found on a computer taken from the house of Patrick Quirke. A website about the limitations of DNA evidence had been accessed on the same computer, the Tipperary murder trial has heard. Material on one website addressed how bacteria could be used to measure how long a body had been under water. Links to YouTube videos for the 'Body Farm' study of human decomposition were also found, relating to 'human remains, skin slippage and DNA analysis', which appeared as images, though gardaí were unable to say if they had been watched. 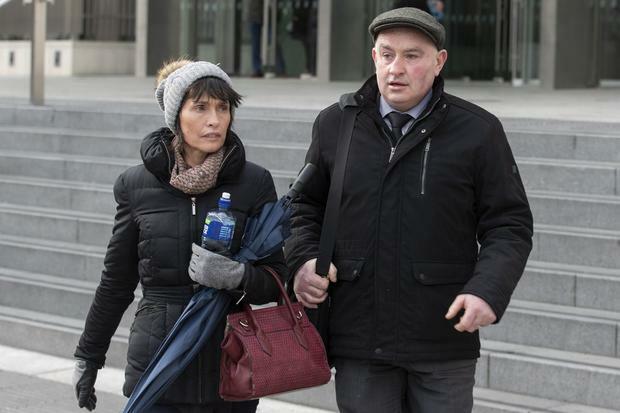 Detective Garda Paul Fitzpatrick, of the Garda National Cyber Crime unit, told the trial he used forensic software called 'Encase' to examine two computers, an Apple iPad, a USB and an external hard drive taken from the home of Mr Quirke. One PC, with no serial number, which was seized from the house, was examined on May 28, 2013. He examined all the visible and invisible files on the computers, including internet searches. Key search terms which included the words 'decomposition' and 'murder', were furnished to him by the investigations team, he later told the trial. Det Gda Fitzpatrick found that over nine minutes on the afternoon of December 3, 2012, the user had carried out a number of searches relating to human decomposition. His forensic search revealed various 'cookie files' - one which showed that on December 3, 2012, at 3.36pm, the user had used Google to search for 'human body decomposition timeline' to go to the website forensics4fiction.com, which showed "the five stages of decomposition", Dt Gda Fitzpatrick said. He also found two other cookie files showing a user had visited similar sites on the same date, with data within the cookie file showing Google had been used to search for 'the rate of human decomposition' at which stage Google had returned a number of hits. The user then selected 'environmentalgrafitti.com'. Data showed another Google search on the same date, for 'human decomposition time lines' with hits that brought the user to the website, suite101.com. This showed how a human body decomposes after death. Dt Gda Fitzpatrick later told the trial that the material he saw on the site addressed the changes in a corpse 24 hours after death, from two days to a week after death, and then the later stages of decomposition. There were also links to YouTube videos which, he said, appeared as images, but he could not say if they had actually been watched and which were embedded on the Environmentalgraffiti.com webpage. These included a link for a YouTube channel with a video of the 'Body Farm and Beyond' - which takes the user on a tour of the 'Body Farm', "showing and discussing human remains, skin slippage and DNA analysis". A second link was to a YouTube video of the 'Body Farm', which showed a study of human decomposition carried out on real corpses. A third link was for a YouTube video that had been removed for copyright reasons, with a title that began: "Decomposition of the..."
Michael Bowman SC, for the prosecution, put it to Dt Gda Fitzpatrick that the "time lines appear to be very close together" between the last search for Environmentalgraffiti.com and an email sent to a man from Mr Quirke, in relation to shares, less than half an hour later. The garda also found a number of searches for Mr Ryan on May 2, 2013, as well as on May 9, 14 and 15 of 2013. Dt Gda Fitzpatrick said there was evidence of the user searching for slurry tankers on donedeal.ie on September 15, 2012. Dt Gda Fitzpatrick said he had subsequently carried out further forensic analysis of the computer using up-to-date versions of software. These revealed there had been earlier internet searches for "body and decomposition" on Google, which had directed the user to the website environmentalgrafitti.com, which showed a corpse in various stages of decomposition. There had also been earlier searches for the limitations of DNA evidence. Both these searches had no date or time but had occurred "prior to September 11, 2012", he said. There was also another cache file for human corpse post-mortem and the stages of decomposition, with information on how bacteria could be used to tell the time a body has been under water, he said. A Word document dated December 14, 2012, addressed to "Dear Mr Leahy", complained how a 'rally track' had been created 'in blatant disregard for my crops' and also complained how a tractor was left blocking the yard limiting his access, with "no keys in it to move it". "I believe this is another deliberate act," the letter said. On April 30, 2013, and the following days, there were searches relating to the discovery of Mr Ryan's body. Two days later, there was a Google search for 'defamation' with a second search for 'defamation of character'. Meanwhile, the computer showed a number of Google searches for media articles relating to the discovery of the body of Mr Ryan. On May 11, 2013, there was email correspondence between Mr Quirke and Vodafone in which Mr Quirke requested a copy of his invoice for June 2011. A day later, he wrote again requesting 'all his calls and texts' for the same month. He received an email the following day with the file he had requested. Two days later, Mr Quirke asked Vodafone for a log of all incoming calls and texts to his mobile from June 2-5, 2011. The garda also seized a computer from Mary Lowry and it was searched for the same key words provided by investigation team. Mr Ryan appeared in two Word files, but there were no hits for other search terms provided by the investigations team, Dt Gda Fitzpatrick said. The cross-examination of Dt Gda Fitzpatrick will begin today. The trial continues at the Central Criminal Court.